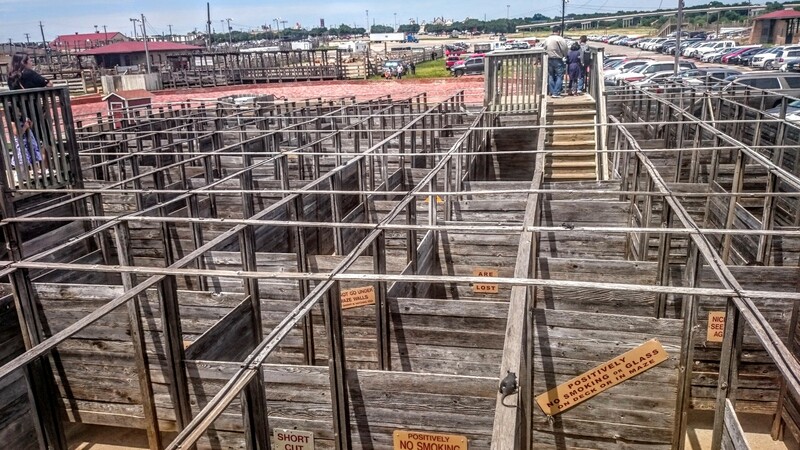 Our Awesome visit to the Fort Worth Stockyards ! I am sure I was destined to be in Texas , the land of cowboys and cowgirls among so many other beautiful things . 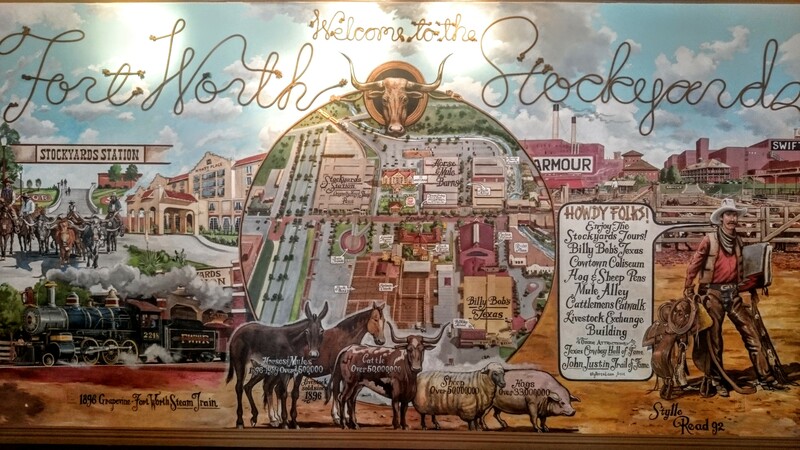 And the Fort Worth Stockyards is the best place to be if y’all want to enjoy the feeling of being in a cow-town along with the old-town railway touch . We attended the Frontier Days event and it was magnificent . 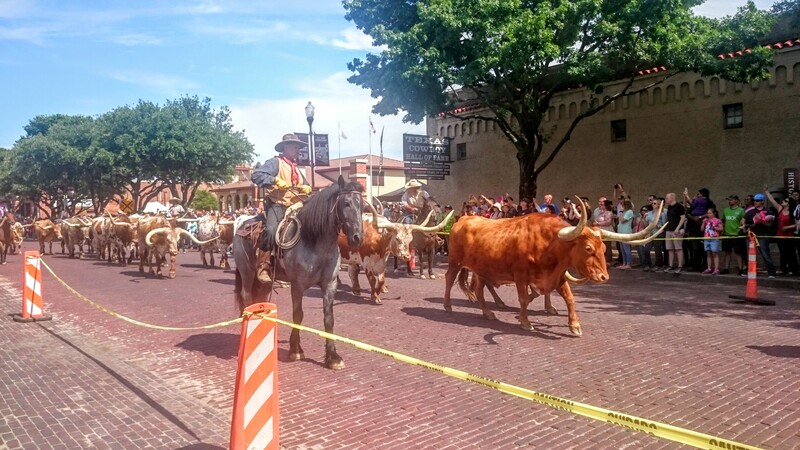 There were very authentic representations of the Texas Frontier Life all over the Stockyards and it was a treat to watch . Getting there / Parking : We entered the E Exchange Ave from the N Main Street . 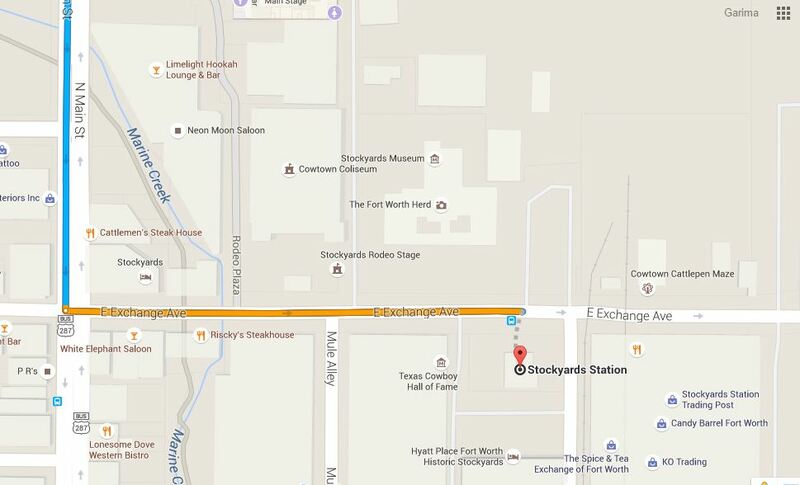 It is a one way street and you’ll see the sign ” Fort Worth Stock Yards ” when you enter at this intersection . There is a free parking lot on the northeast end . There is plenty of parking [about 3 entrances ] for $5 on the left side of the street and you won’t miss the signs . Free parking also for 11:00 to 2:00 on weekdays for the Lunch Hours . A lot of options in the shopping alley along with nice and clean restrooms . 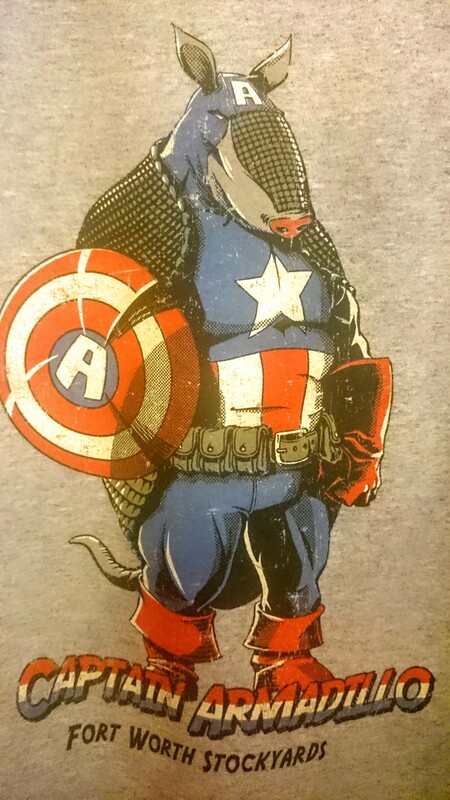 We ate at Riscky’s Barbeque . Food was quick and good and priced right . Plenty of nice shopping experience . The best part of our visit was the Cattle Drive . The Longhorn Cows were majestic . The cowboys along with the cattle were a scene to remember ! 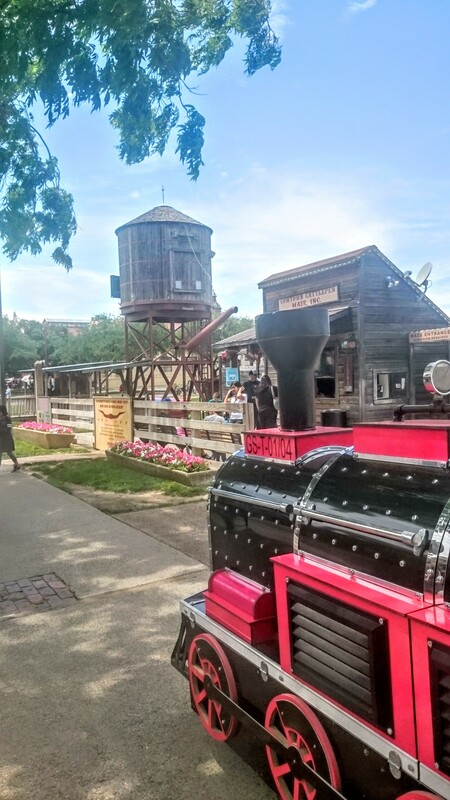 Grapevine Vintage Railroad : You may choose to take a train to the GVR and come back . 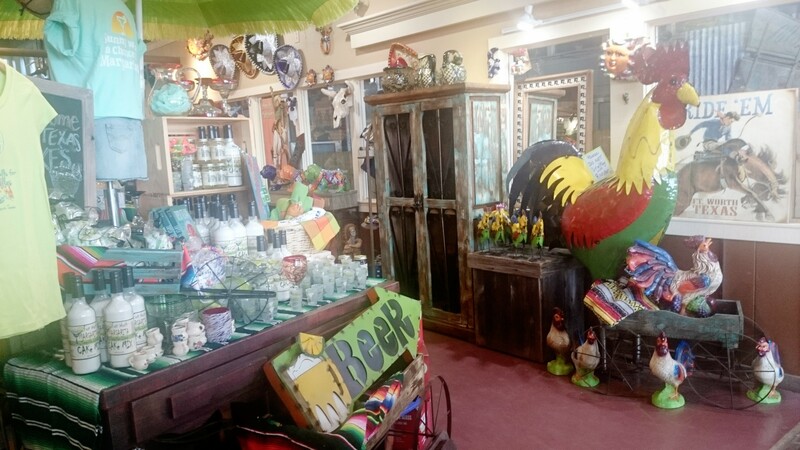 Or you may do the opposite if you are visiting the Grapevine Main Street . Round trip from Grapevine: $26 for first class and $18 for touring. One way trip to Grapevine: $23 for first class and $15 for touring. 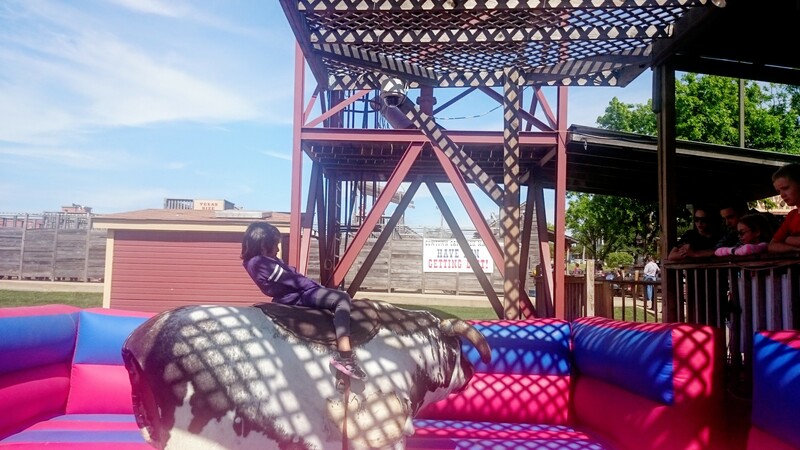 Mechanical Bull ride : $7 and a lot of fun !! It was certainly a lot of fun and there was so much more to do that we plan to do on our next visit ! In our fast paced lives, health alarms with our families are inevitable. And so the various kinds of “medicines “ come into picture . Specially for our little – ones , we always wonder if we should even pour those strong medicines down their tiny bellies. Today, more and more parents are getting into natural remedies or alternative medicines to cure all kinds of health issues so that they don’t have to deal with any side effects of Allopathic Medicines or the conventional medicine. My family has been using Homeopathy as the main course of first aid for generations now . And we are very happy with the results . Homeopathy is a branch of medicine which is very well known as a kind of alternative medicine and is still waiting to get into the main stream pharmaceutical practices . Homeopathy is just wonderful. It starts to cure instantly from within. It works internally on the cause of the symptoms instead of suppressing the symptoms from outside. One of the best aspects of Homeopathy is that there are no side effects . I can say that I have been a fan of homeopathy since I was born . As my parents tell me , Homeopathy meds always worked on me even when I was an infant . Now these meds continue to work on me , my husband and my kids, my parents , my sister’s family and so on . We have a great family doctor [Homeopathy] who is always ready to help and suggest medicines at any time . We are so thankful to God for him. Arnica also worked great while I was pregnant the first time and had a bad case of PGP [Pelvic Girdle Pain ] . I was busy with work and home and ignored it to the limit that I couldn’t walk anymore . I researched online and several websites and even real people said that this pain will never go away . I panicked and called our Homeopathy doctor right away . He immediately suggested Arnica and in 3 days I was back to normal ! It would be great if more people start to understand and use Homeopathy at least for the small ailments like cough , cold, bruises, gas , low grade fever, pain etc . That way we will be spared of the strong side effects of Allopathy medicines. Just as in case of any other medicine , everyone must consult with an expert and then should take these meds. Homepathy is a very peculiar kind of medicine where dilution of a medicine makes all the difference . 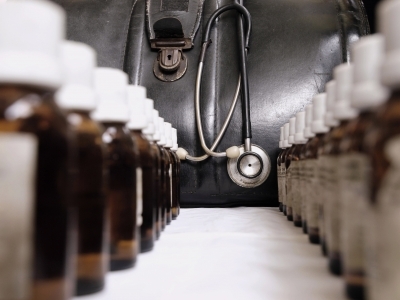 The right Homeopathy medicine works right away and the wrong medicine just won’t make any difference . Only an expert or a doctor can take a look at your symptoms and suggest the correct medicine in correct dilution.